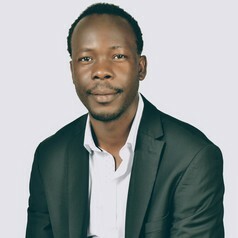 Sekou is currently a doctor of philosophy degree research student at the department of Political Science and Public Administration, University of Nairobi. His research interests are primarily in Foreign Policy Analysis, and Regional Integration, with a specific focus on the East African Community(EAC), integration process. His secondary research interest includes migration issues and patterns across the East and Horn of Africa region. Sekou is also the 2016 Winner of the Tana High-Level Forum on Security in Africa, African Universities' Essay Competition. His winning essay titled “Africa in Global Security Agenda: The African Union and the Regional Economic Communities as an Impetus to Regional Peace and Security” delved into the active and central role that regional integration blocs and the Africa Union needs play in the promotion, prevention, resolving, and maintaining sustainable peace and security across the continent. He was a speaker and a panelist in the 5th Tana High-Level Forum on Security in Africa's session on “Conflict Prevention, Building Peace Infrastructures, and Sustaining Peace”, held in Bahar Dir, Ethiopia on April,16-17, and attended by current and past African Heads of State and Government, Policymakers, Academicians, as well as leaders of regional and international organizations.